For our regular readers, you know I’m a gear snob. I want only the best, highest quality stuff for myself, Chester, and Gretel. While they still have several different jackets for traveling and walking around the City, I only use super warm and breathable waterproof ones for their hiking and outdoor adventures. 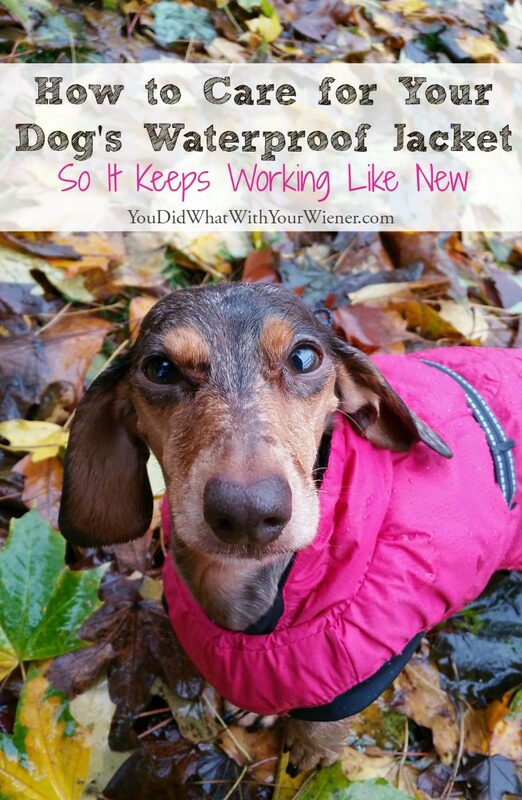 If you are looking for a waterproof jacket for your dog, please see my article The Best Dog Jackets for Dachshunds and Other Hard-to-Fit Breeds. High-quality gear comes at a cost. Sometimes it’s a pretty high cost. The thing is though, if you get a dog jacket that fits well, is truly waterproof, and made of high-quality materials, you won’t need to buy another jacket later. That is, as long as you care for it properly. I worked at a large outdoor retailer for many years. One of the most common questions I got was about waterproof jackets. Sometimes they were complaints. People would come in complaining that they bought an expensive waterproof jacket but now it was getting wet and leaking. The first question I would ask them is if they were washing the jacket. Then I would ask them how. While a jacket with a waterproof coating, like GORE-TEX®, should not be washed excessively it should also not go without a washing now and then. And if the jacket is washed, there is a very specific way to do it. Most often, the people complaining weren’t washing their jacket or were using the wrong detergent. A waterproof jacket does it’s job because it has some kind of waterproof layer inside. This can either be a coating of latex (think fisherman’s rainwear that is like wearing a thick plastic bag) or a porous membrane that allows heat and perspiration to escape but doesn’t let water in. This article talks about caring for the latter. Note: if your dog’s waterproof jacket is just made with a thin rubber/PVC/polyurethane (PUL) film on the inside of the fabric, all you really need to know is hang dry it so the rubber film doesn’t melt and crack in the dryer. What I’m talking about in this article are waterproof, breathable jackets like you would get from Ruffwear, Hurtta, or other high-end retailers. This membrane has microscopic holes that are smaller than the size of rain drops so they can’t pass through. Think a marble sitting on top of a hole the size of a pencil eraser. (this is, scientifically, not exactly accurate but close enough. You can read this article if you want to geek out on the specifics of waterproof materials). Now, the key here is that the water beads up on the surface of the fabric to keep it away from the membrane in the first place. In order to do that, a jacket is given a DWR, or Durable Water Repellent, coating. This is a treatment that causes microscopic “hairs”, or filaments, to stand up on the surface of the jacket fabric. Think a beach ball sitting on a lawn – blades of grass. Now, the jacket can eventually get so dirty that the “hairs” stick together and lay flat to the jacket’s surface. Washing a jacket improperly can cause this too. When this happens, it allows the rain drop to sit directly on the jacket fabric. Instead of remaining a nice little round drop, the raindrop flattens out and spreads along the surface of the jacket. The outer fabric of the jacket becomes wet. This process is called “wetting out”. Usually “wetting out” just makes you FEEL like you are getting wet when the jacket is not actually letting water through. The water on the surface makes the inner membrane feel cold and clamy. The weight of the wet fabric causes it to sit against your skin so any perspiration on your skin does not evaporate. You literally get wet from the inside. In some cases, with cheaper waterproof membranes, some of the “broken up” water drops CAN start to work their way through the pores in the membrane to your skin. This process is the same for all breathable, waterproof membrane. It’s works the same way whether the jacket is made for humans or for dogs. 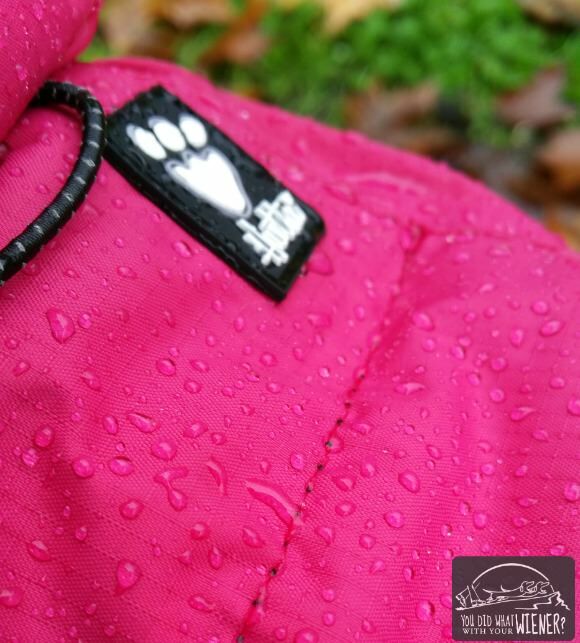 In humans, one of the best waterproof membranes is GORE-TEX®. For dogs, Hurtta’s Houndtex® would be an equivalent. The waterproofness and breathability of Houndtex laminated outdoor fabrics match those of high-quality outdoor outfits designed for people. So, in order to keep your jacket, with a breathable waterproof membrane functioning properly, you need to maintain the DWR finish so the water continues to bead up on the fabric. You can do this by washing it and drying it properly. If that isn’t enough to keep the jacket from wetting out, you should apply a “re-waterproofing” product. You can always check the manufacturer’s website too for fabric care. 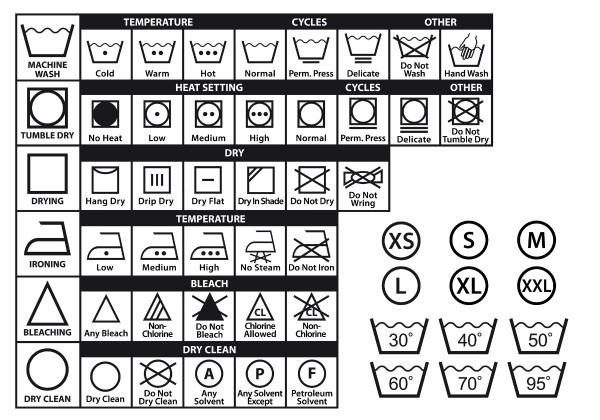 However, many product sites for dog jackets don’t list the washing instructions or make them hard to find. Maybe they think that you don’t think you want to care for your dog’s performance waterproof jacket just like your own? I ask: Why wouldn’t you? Given the high price of some of these jackets, you probably want them to work as they should for as long as possible. Use a sport wash specifically designed to not leave a residue on technical fabrics. My favorites are the Atsko Sport Wash and the Nathan Sport Wash. This is ideal but, if you don’t have any, you can use a small amount of regular detergent. Liquid is preferred over powder. Be sure to check the label and make sure the soap is free of fabric softeners, surfactants, perfumes, conditioners, stain removers or bleach as they will affect garment performance. Do not, under any circumstances, use biological soap (contains enzymes). note: sometimes I run a dirty jacket through with just water to get the major stuff off… but that is no substitute for actual washing. Machine wash on a warm permanent press cycle (105º F/40º C). It’s also best to use a front-loading washing machine if you can. At the very least, use a low-agitation setting. Rinse twice, minimize spinning to reduce creasing (use a low-spin cycle). Line dry your garment, or tumble dry it on a warm, gentle cycle. Once it is dry, tumble dry your garment for 20 minutes to reactivate the DWR treatment on the outer fabric. 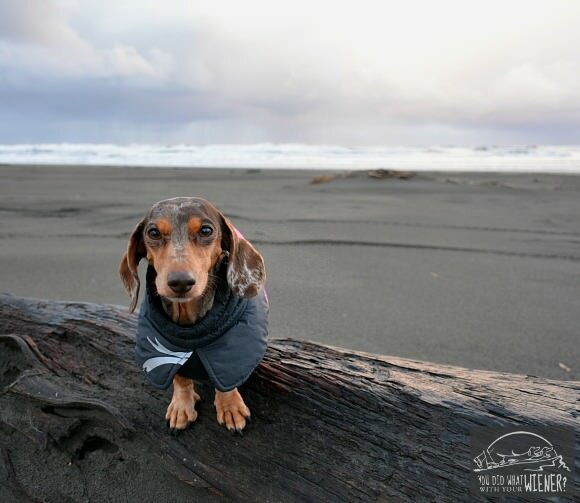 One final note: some people are worried that a trip to the beach will hurt their dog’s jacket – that the salt water will eat away at, or damage, the waterproof membrane. Salt water does not contaminate, clog the pores, decrease the breathability, alter or harm Gore-Tex® fabric (and similar). However, Salt is a desiccant, meaning it attracts moisture. To keep salt from accumulating on your outerwear and attracting water, simply rinse it occasionally in fresh water. If you have limited fresh water supplies, even a rinse in sea water will reduce heavy salt accumulations (sea water is approximately 3% salt). When the factory applied DWR treatment can no longer be reactivated, apply a new water-repellent treatment. The time between needed treatments will vary depending on how dirty the garment gets, how often it’s washed, what detergent is used, and they type of waterproof membrane it’s made with. For my snowboard gear, I apply a DWR treatment at the end of each season. For garments that I use year-round, I know it’s time for another treatment when the water stops beading up on the surface. I haven’t had to do it for Chester and Gretel’s Hurtta jackets yet and I wash them once or twice a month at least. All 3 are water based, eco-friendly, non-aerosol, non-flammable, and don’t contain heavy solvents, flourocarbons (PFCs) or volatile organic compounds (VOCs). Based on that, I would guess that they are all safe for children and pets but the Dry Guy waterproofing states that explicitly. Check out REI’s website for more details on DWR Care. I just got a new waterproof jacket for Christmas, and have waterproof pants arriving at the end of the week, so I’ll make sure to do all this from the beginning. My dog’s coat is out of PUL fabric, though, so I don’t think this applies to hers. That’s correct. PUL is polyurethane (the thin rubber coating I referenced) and not breathable… so you’re safe except the not melting and peeling in the dryer part 😉 Interesting about the snow balls. We’ve never had that problem and my dogs literally drag in the snow. Ha, ha. I just don’t have any advice from experience. What I need are tips on keeping snow from building up on the edges of dog coats, and turning to ice. Doesn’t seem to matter what kind of fabric it is, the snow clings to the lining or just to the hem of everything. This was quite interesting! We don’t wear jackets, but Mom has had some rain proof jackets and running gear that stopped being waterproof. Now she always hangs to dry and that seems to help, but I guess it is much more complicated! As for those universal symbols…when we lived in Germany they were all we got on everything. Mom had a graphic similar to yours posted in our laundry room! I feel like the universal symbol thing is popular in European countries and is just now catching on here. It’s find if you know what they mean. I consider myself decently smart and I still had to look up one of the symbols 🙂 I hope your Mom found some tips that will help get her jackets back in working order. Getting soaked in the rain is no fun. This is brilliant advice. Thanks for posting this! I didn’t spend a lot on my jacket but his shape is so hard to fit that I want to make sure I can keep it for a while because I don’t know if I will be able to find another one that fits just right. Thanks! Sorry Morgan. I just now so your comment so it wasn’t approved before. You make another good point – motivation for good jacket care isn’t always money. Good luck to you and your pup.